A look at the best news photos from around the world. 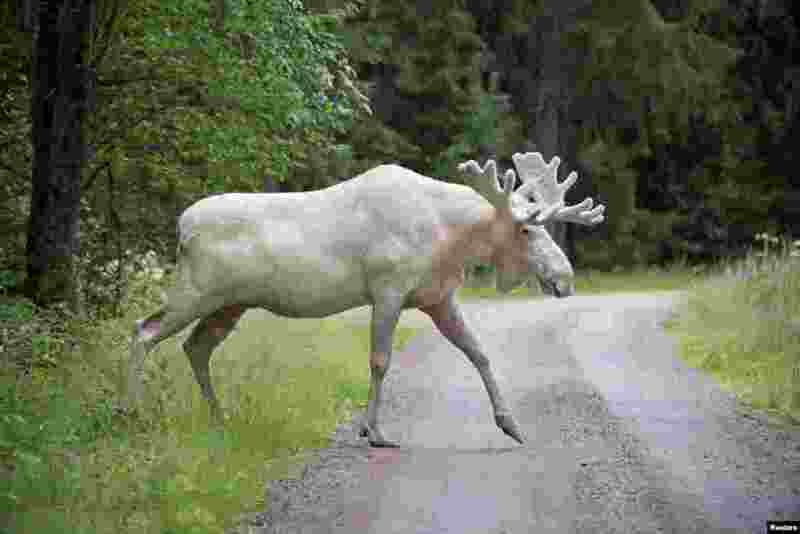 5 A rare white moose is seen in Gunnarskog, Varmland, Sweden. 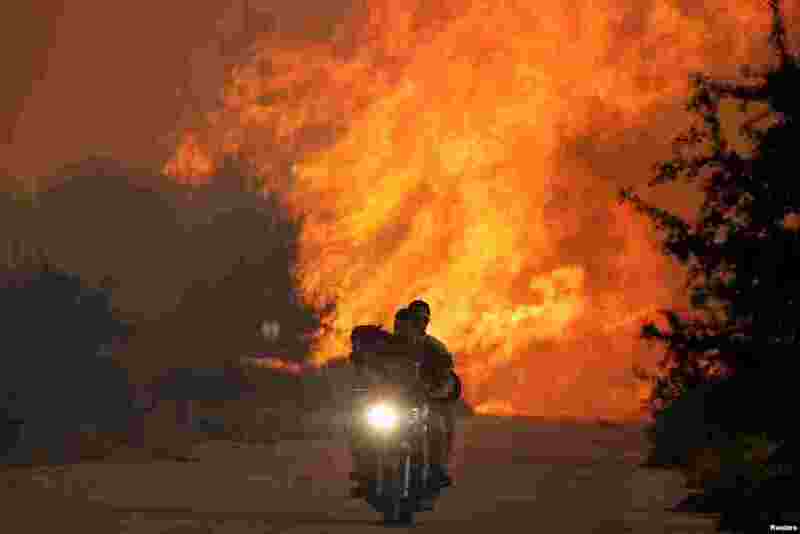 6 Two men and a dog on a motorbike flee a wildfire burning near the village of Varnavas, north of Athens, Greece. 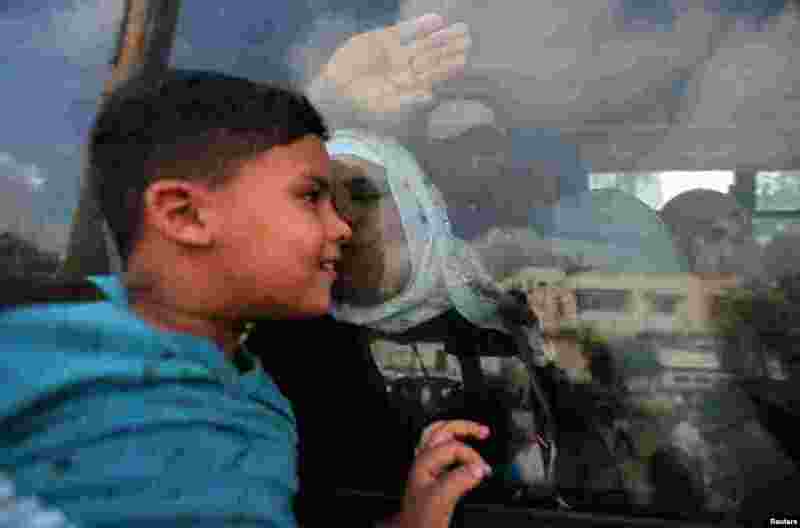 7 A Palestinian woman kisses her grandson through the window of a bus before she leaves for the annual Haj pilgrimage in Mecca, in Khan Younis in the southern Gaza Strip. 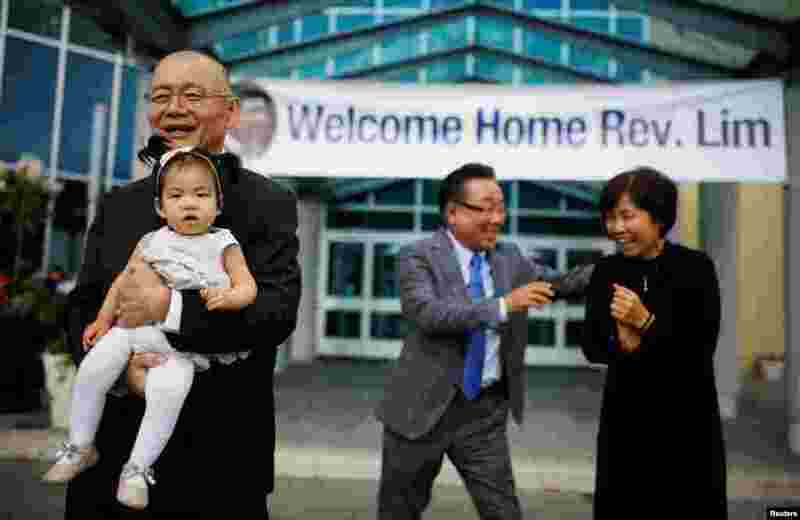 8 Pastor Hyeon Soo Lim, who returned to Canada from North Korea after being held for 31 months, holds his granddaughter in front of his wife Geum Young Lim, as he leaves the Light Presbyterian Church in Mississauga, Ontario, Canada, Aug. 13, 2017.